Automatic programming: marking is rich in content, can play in English, Chinese characters, numbers, graphics, logo etc. Printing: printing effect is colorless and dent (dot, line 2 marking mode) permanent marker. The needle system: automatic needle system, can quickly and accurately the marking content moved to the corresponding position. Fonts: multiple fonts available, and you can edit the new font, with scanning camera. Analog display: without labeling, direct observation of marked effect on screen, what you see is what you get. Storage function: automatic collating sequence, marking time, quantity, content, automatic storage for statistics. Setting: automatic collating sequence, marking time, quantity and content are automatically stored for statistical. The stability of the system: the system is stable, can work continuously for 24 hours. 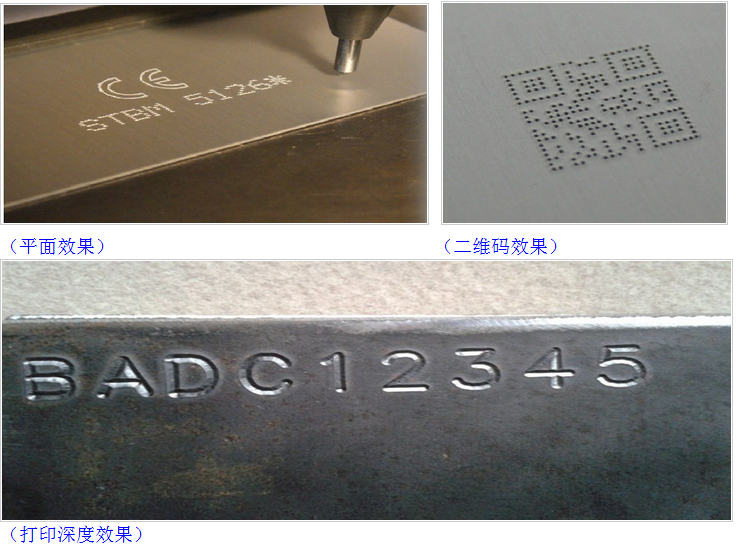 Marking requirements: special alloy print needle, mark clear, consistent with the Ministry of Public Security announced vehicle marking requirements. 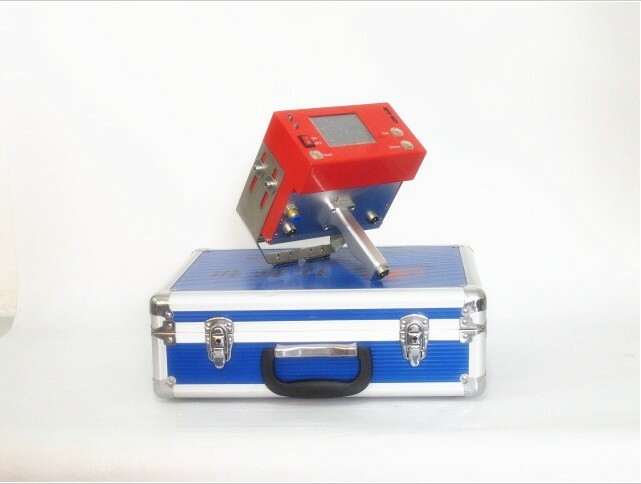 Small size: marking machine specialized controller, light weight, small volume, easy to carry out. 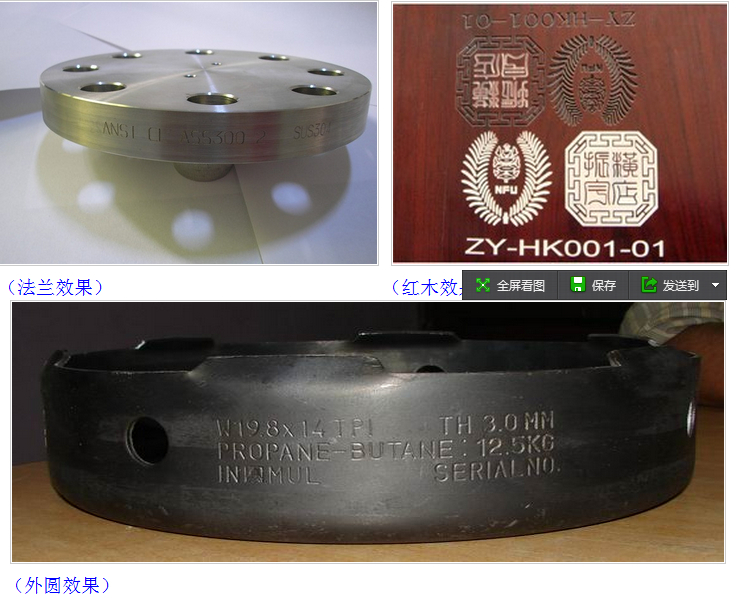 Magnet: using magnet adsorption methods of marking, easy to use. A variety of font: font library with multiple fonts available, you can edit the VIN code and other new font. 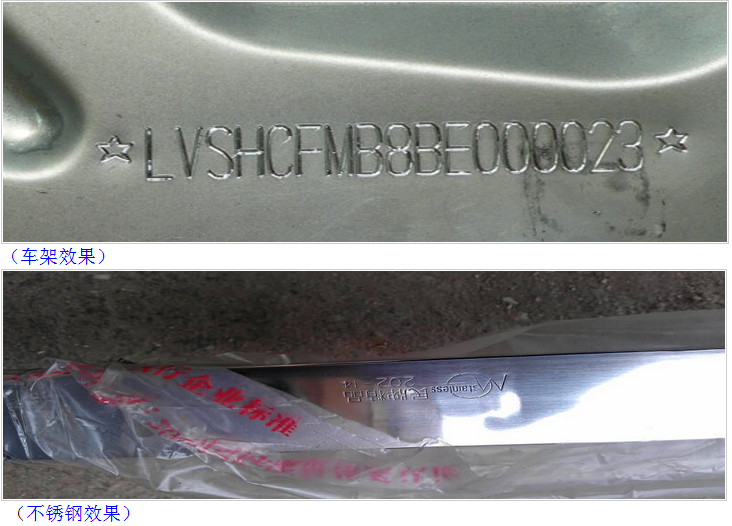 Chinese, English, numbers, graphics, serial number, VIN code etc.